Here you can find out who we are, what we do … and how you can get involved. Charlbury is a delightful Cotswold town that has been around for the best part of a thousand years but, like other communities, we face our share of challenges. We believe the best way to meet those challenges is to make sure people living and working in Charlbury have a strong voice in key decisions affecting the town’s future. The Charlbury Neighbourhood Forum is a group of volunteers. It has the support of the Town Council, and was set up to help develop strategic, community-led plans for Charlbury for the next 20 years. Planning and development – a group is working on a Neighbourhood Plan addressing land use and planning issues such as new housing and protection of green spaces. This will be voted on in a town referendum. An invitation for sites to be considered in the plan was issued in May 2017. Community – several groups are involved in drawing up a Community-led action plan covering issues such as access to health and care services; helping people to join in with local activities; facilities for children and young people; road safety, parking and other transport concerns. We are currently conducting a survey of areas of the town that are difficult for pedestrians, bikes, pushchairs and wheelchairs. 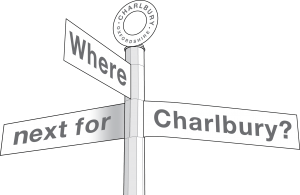 Charlbury Town Survey – in 2016, comprehensive questionnaires were delivered to every household and business in Charlbury. The responses provide fascinating insight into residents’ views on local issues, as well as part of the evidence-base for the Neighbourhood and Community-led plans. The Charlbury Neighbourhood Forum has held several (mostly well attended!) public events; more are planned in future. A steering group meets regularly – view minutes of past meetings.